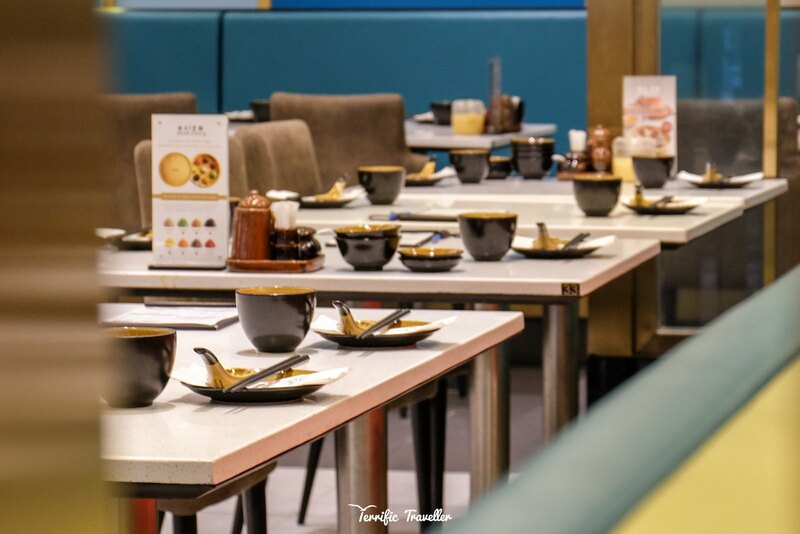 It’s always a good sign when establishments (food or retail) launches new offerings to the public. 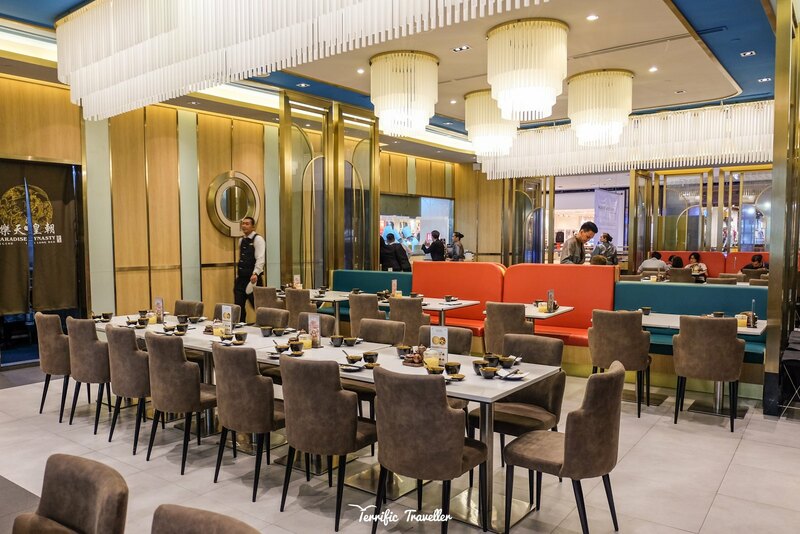 We get to enjoy the latest trends and savor the newest dishes – one (or two) of the things I also delight in. 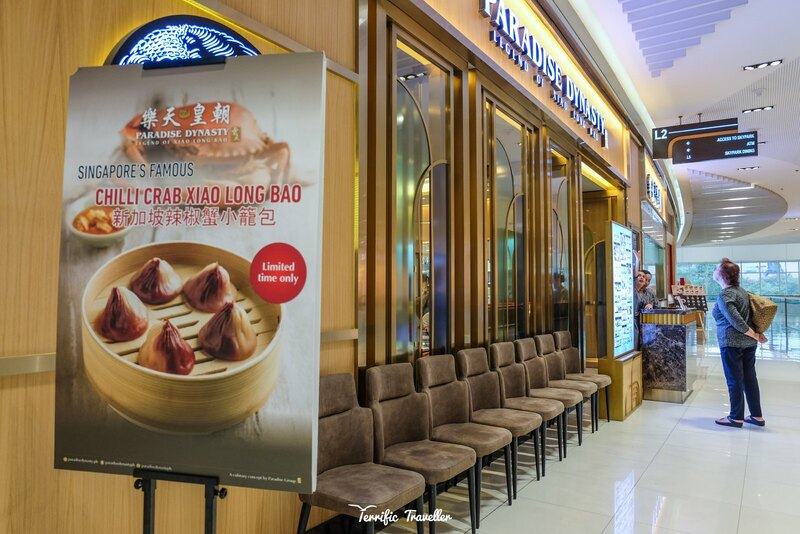 A week ago, I got invited to the launch of Chili Crab Xiao Long Bao at Paradise Dynasty, SM Aura Premier, Taguig City. 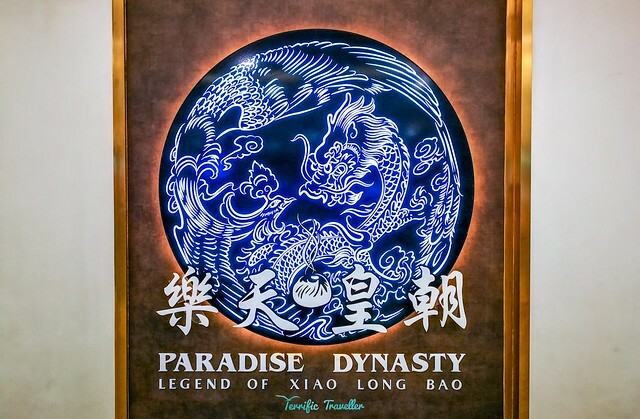 As I approached their SM Aura Premier golden outlet before lunch time, I couldn’t help but (still) be amazed by the amount of intricate detail put into creating the exterior and interiors of Paradise Dynasty. 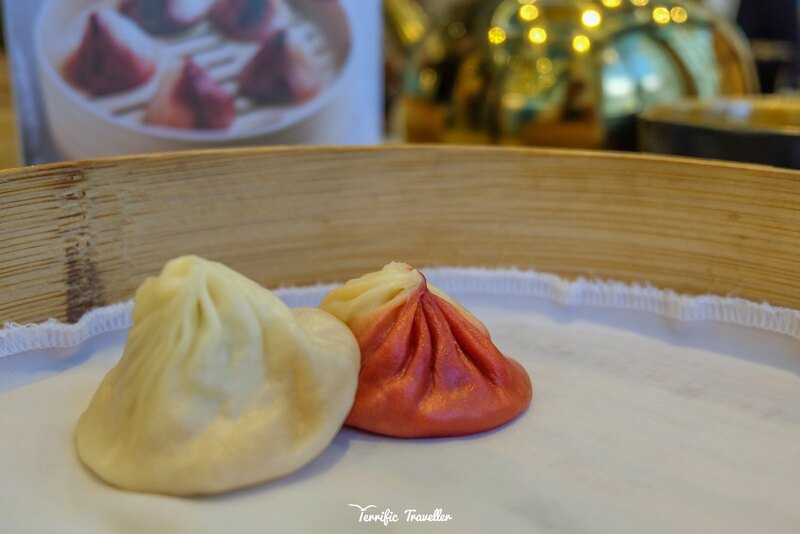 Almost all Chinese/Oriental cuisine dining outlets in the metro would have this familiar sight – the creation of your terrific xiao long baos. 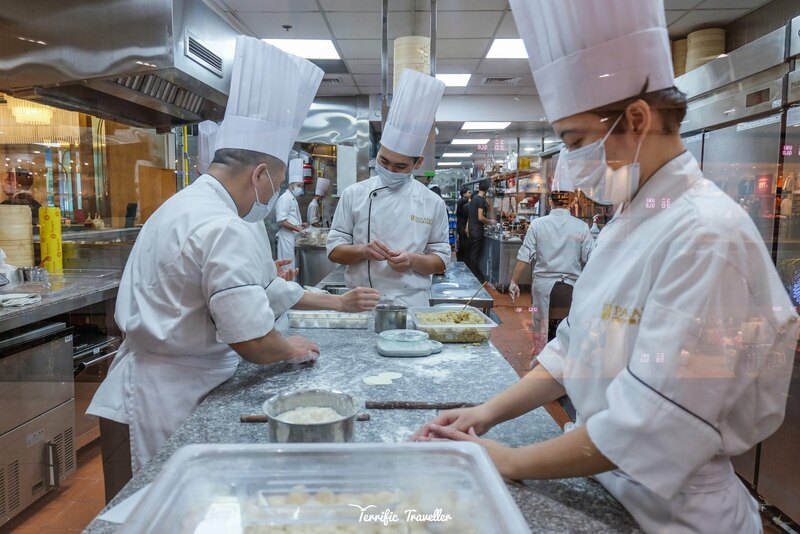 Here you can freely observe chefs carefully measuring and crafting each and every xiao long bao to have an equal amount of mouthwatering filling, to the correct wrapping technique, and careful weighing. I thought it was very relaxing (almost therapeutic) just watching them process xiao long baos so fast, but also so methodical. Did you know? 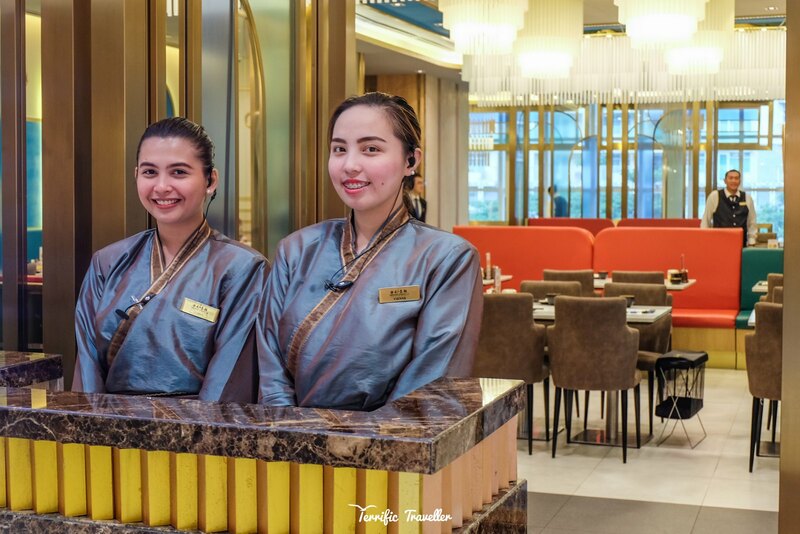 Chili Crab is Singapore’s signature specialty dish, and they have loads of variety that will surely tingle your taste buds. 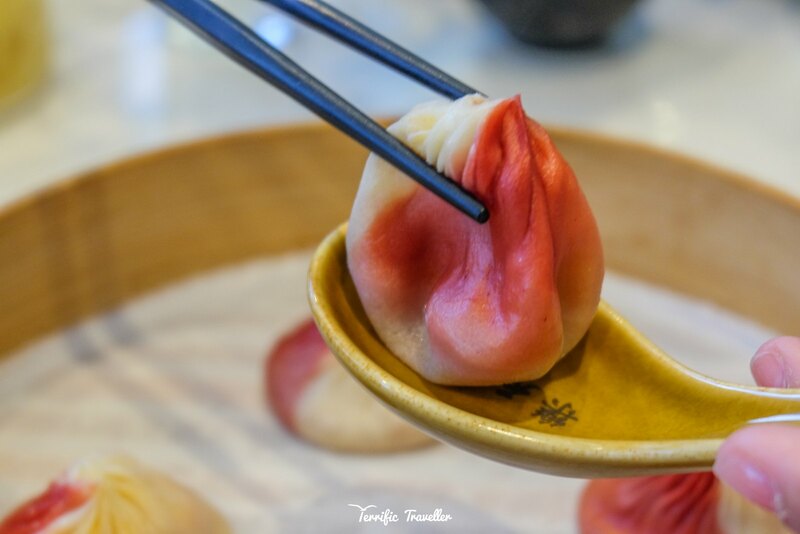 Available only for a limited time, and exclusively at SM Aura Premier, this 5-piece basket of pure savory goodness comes in a vibrant and exquisite form, where the red and white dumpling wrapper looks just as delightful as the burst of premium tasting chili crab filling. 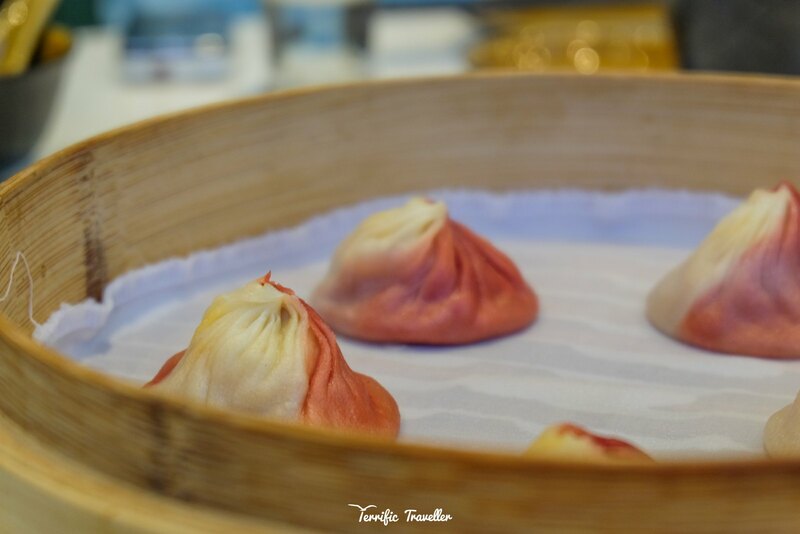 As for the price, it’s a little steep at ₱540 (~$10) – but for a steaming bamboo basket filled with palatable limited time xiao long bao from Paradise Dynasty, by all means, splurge. Treat yourself, your family, or bring your colleagues in for lunch or dinner, no one will get disappointed! A vinaigrette-based dish of harmonious hearty pork dumplings. 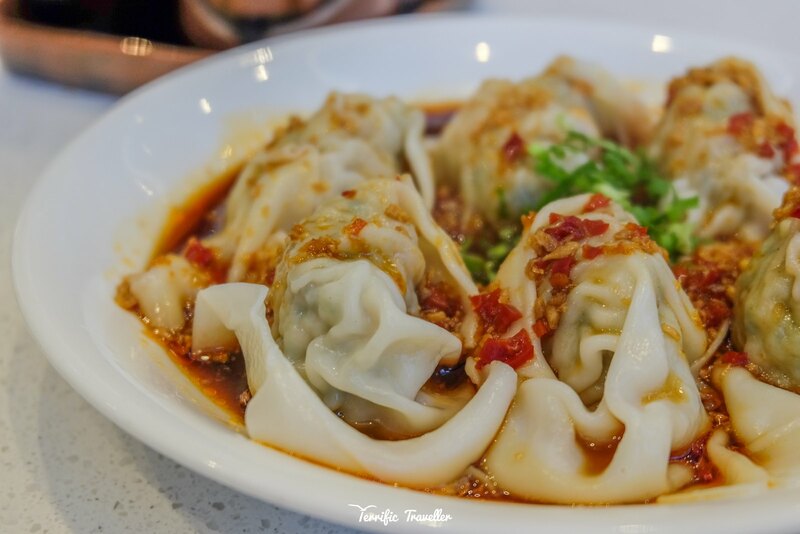 The bowl may look too spicy because of the chili vinaigrette, but trust me, if you love pork dumplings, you’ll love this spicy-rich combo. 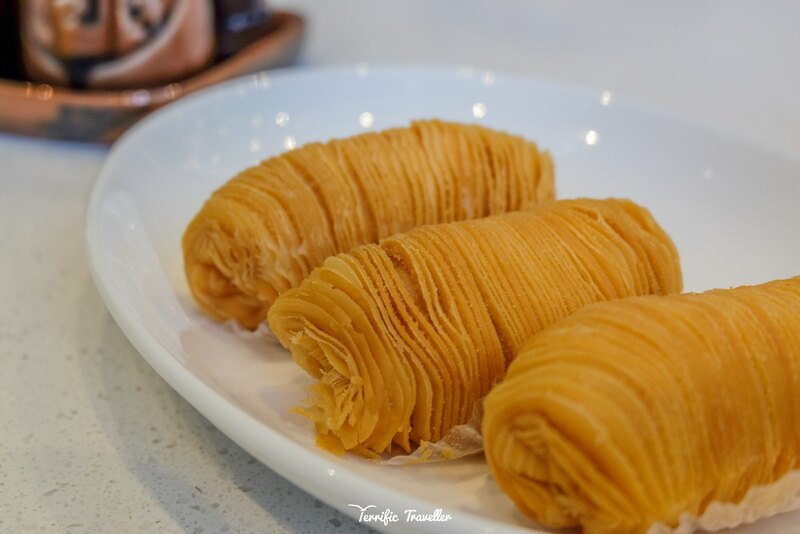 Get a spoonful of the shredded pork, wrap it with crepe, then eat. The shredded pork was a mix of sweet and salty – thanks to black bean sauce. But don’t worry, you’re gonna eat it with crepes for balance of flavor. 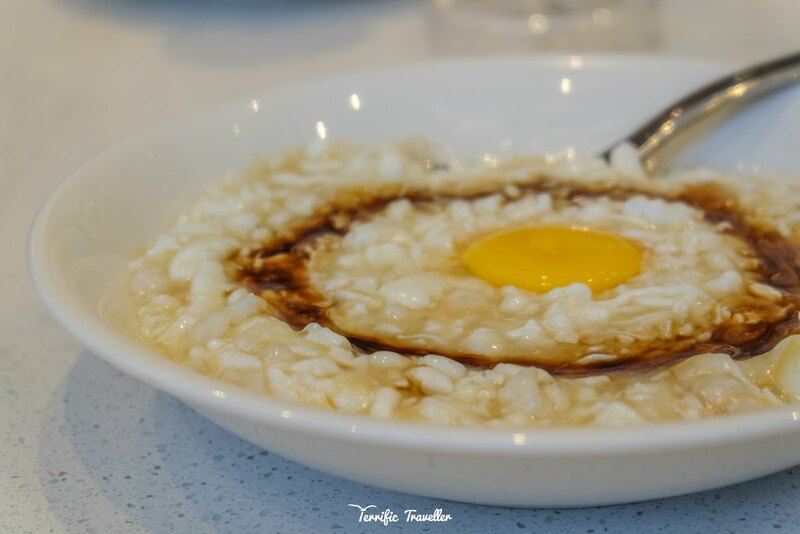 Something to calm everything down: The yolk will is mixed with scrambled egg white, and believe it or not, the yolk will somehow be cooked, because the egg white will be served hot. 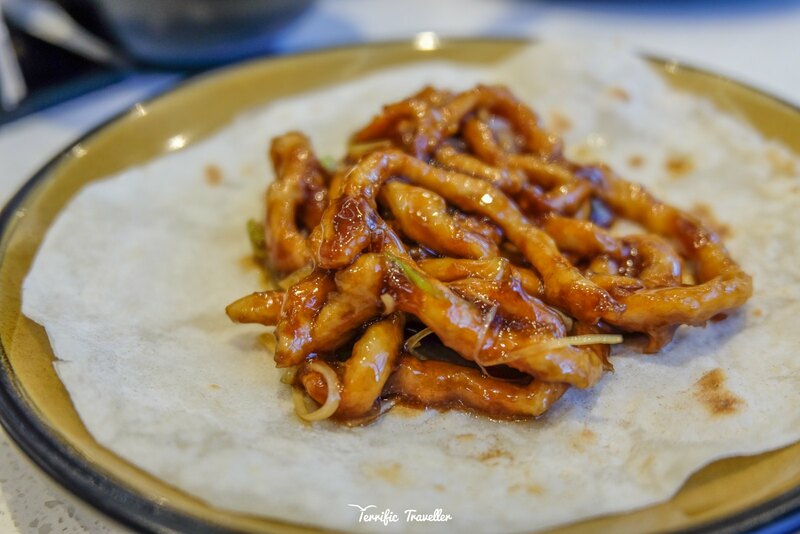 Taste-wise, this dish is palatable, and if you’ll be ordering a lot of spicy dishes, tip: better get one or two of this. Hooray for french green beans! 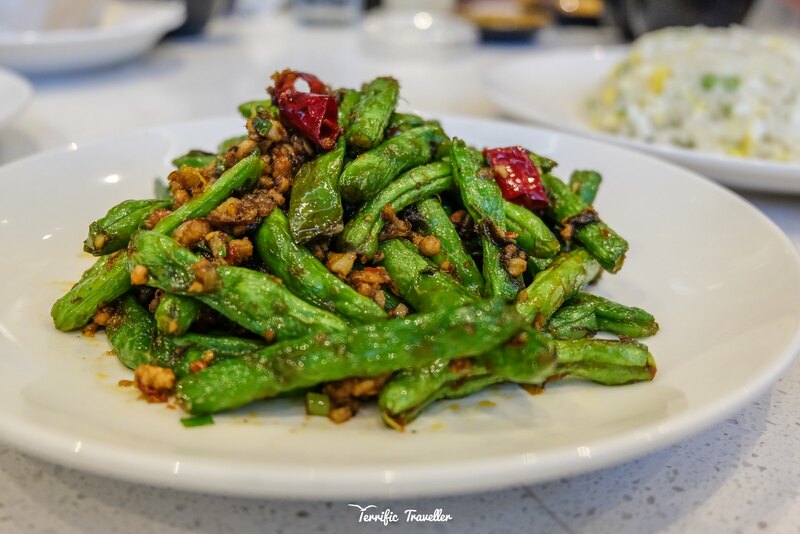 they were – as expected – more tender than regular string/green beans, and the mix of minced pork is a nice touch – add of color, aroma, and overall balance. People who like vegetables will surely adore this classic dish.